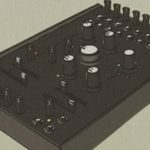 A quick look through BASTL’s catalogue shows that they don’t make ordinary instruments, and the BASTL SoftPop is no different. 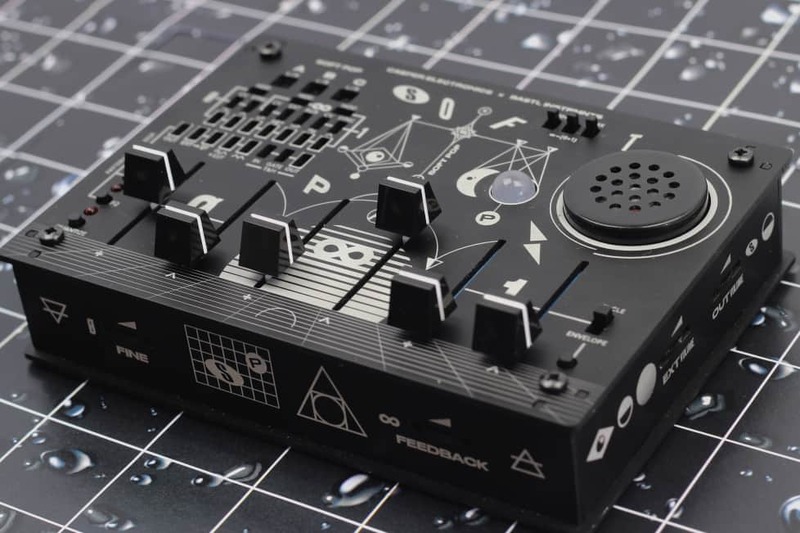 BASTL SoftPop is described as a psychedelic analog noise creature with a wet sound and rowdy spirit, the simple interface is very intuitive and is made up of six linear faders and a 25-point patchbay, with some less used parameters controlled by thumbwheels around the sides. 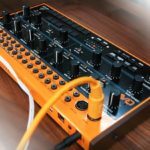 The BASTL SoftPop is semi-modular synthesizer, that means the patchbay comes normalled and you don’t need to know a ton about modular synths to get going straight away. 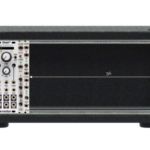 It also means that the sonic possibilities of the super-compact synthesizer can be widely expanded using interesting new modular routings. The BASTL SoftPop features a full-analog signal path with dual VCOs and a state-variable filter (featuring Low-pass, Band-pass and High-pass curves), furthermore the first VCO feature a CV Quantizer, for turning sonic mayhem of modulations into something semi-musical. 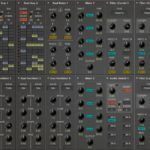 There is also a “Track and Hold” circuit integrated into the synthesizer, allowing for chaotic stepped modulations or use the pattern looping section to record and trigger sequences. 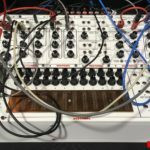 Does the BASTL SoftPop play well with other synths? BASTL SoftPop uses the same voltage standards as Eurorack modular synths, that means it can be very easily integrated into any Eurorack environment, there’s even a “secret chamber” underneath the unit for those who want to adventure into circuit bending territory. 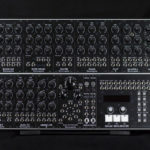 The concept is the brainchild of Peter Edwards of Casper Electronics, who is renowned in DIY synth and circuit bending circles, he creates various kits to get started and even makes some custom pieces for some well-known acts such as The Melvin and Negativland.